1. To take all opportunities that arise! 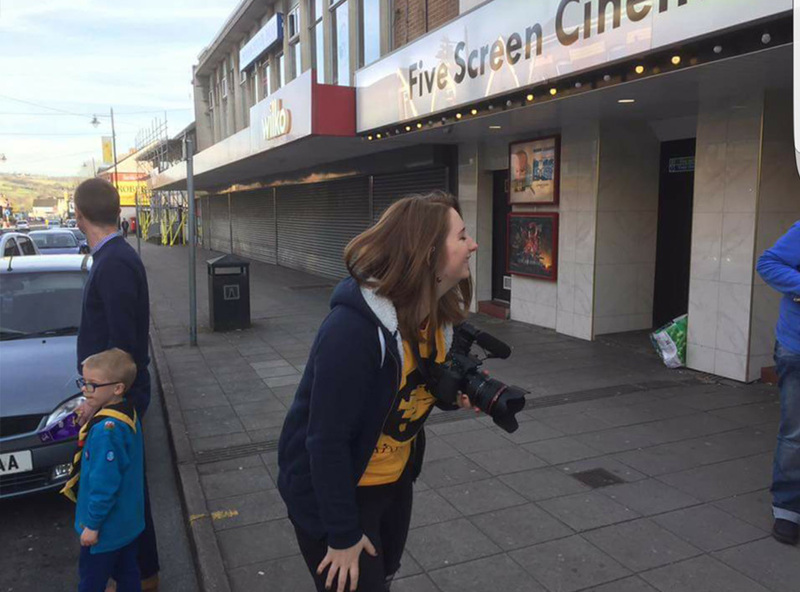 At the festival, apparently laughing at something hilarious whilst taking shots outside the cinema! 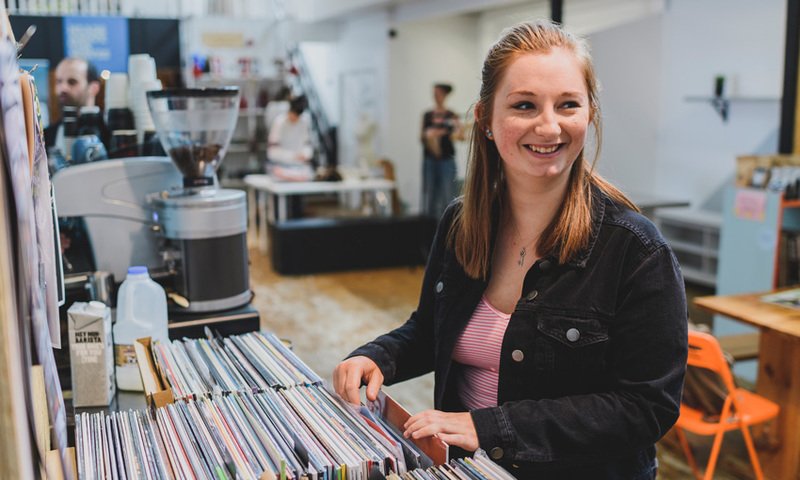 I would never have thought I could have achieved so much in my first year at Uni, and it’s all down to taking risks and opportunities – even the scary ones. 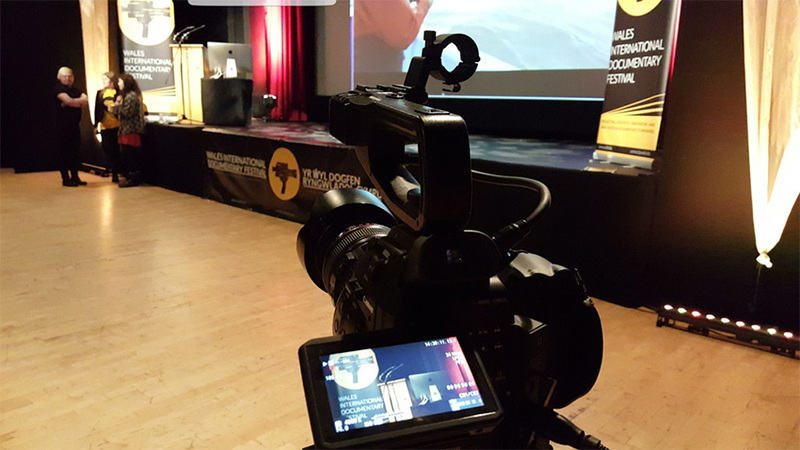 This past year I have added to my CV by doing things like volunteering at the Wales International Documentary Festival (WIDF), where I got to gain hands on experience with cameras and video editing software. This was GREAT for me as one potential career is to be a cinematographer! I have also taken the brilliant opportunity to become a Cardiff Met student blogger. This may be the best thing I have done, as it shows paid writing work on my CV – ka-ching! Plus it makes me feel all professional and adult-y! When applying for University I knew I wanted to do English Literature as it has always been my forte, but I wasn’t sure on what other subject I wanted to combine it with. As I was not set on a specific career, I decided that adding Media to an English degree would make me much more employable, and I was right. But, the fact is, doing a course that encompasses so many different types of media (journalism, film theory, media industries etc.) was a wise choice for me as it allowed me to study a range of areas in the media. This led me to slowly developing the idea that I would LOVE to work in the film industry – Hurrah! These have been getting A LOT of use lately! During my first year I decided I’d try to run the 2017 Cardiff Half Marathon. Most of my life, I have not been physically fit and I have certainly never been a runner. That was, until I began life at Cyncoed Campus, where a huge number of students were studying a sport based course, especially since I lived with a few of them and saw them exercising every day (the guilt really kicked in!). 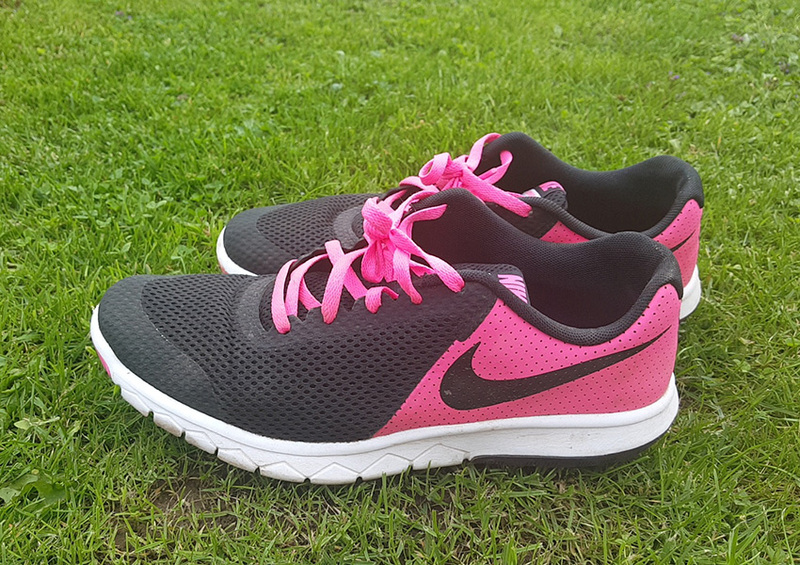 This led me to want to get healthier and throughout my first year at Uni I began attempting to run, but still really did not enjoy it. Then, I finally took the plunge and joined up for the 2017 Half Marathon. I trained for three months and went from only being able to run for a minute (literally) to running 8 miles! Unfortunately, I couldn’t take part in the run due to injury. However, this was still a huge achievement for me and something I will look back on with pride for many years to come. What did YOU learn in your first year? Starting your first year at Cardiff Met in 2018? Check out our Fresher’s Guides.